A few days ago I wrote here about a biblical way of describing a time of peace and prosperity. 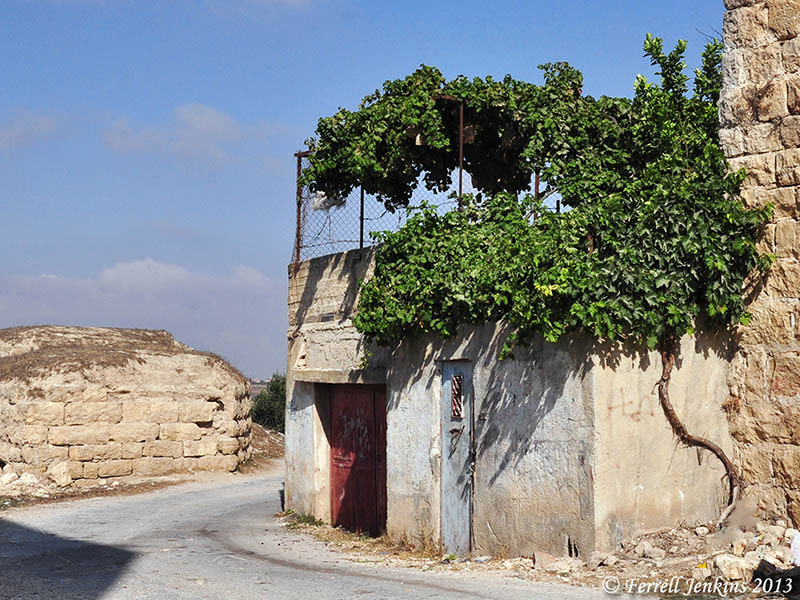 I mentioned that it is not uncommon in the Middle East to see a vine running up the side of a house to cover a porch on the roof. Since the last post I located one of my photos showing this practice. This photo was made at El Jib, the site believed to be Gibeon (Joshua 9; 2 Samuel 2). A vine growing up the side of a house to provide shade on the roof. Photo by Ferrell Jenkins at Gibeon (El Jib). This entry was posted in Bible Places, Bible Study, Culture, Israel, Old Testament, Photography, Travel and tagged West Bank. Bookmark the permalink.